Russia Military Map – Sep. 11, 2015 6 out of 5 based on 5 ratings. 5 user reviews. Without any doubt, the biggest single story of the week is the intensification of Russian aid to Syria and the associated Western scaremongering. Military aid is now being sent not only by sea, using amphibious assault ships operating from Black Sea bases, but also heavy airlifters flying over the Caspian, Iran, and Iraq on the way to Syria. There is also an upsurge of activity in the Central Military District which appears to be related to the developments in Syria. Not only are the CMD formations undergoing major readiness checks, they are being reinforced by VDV units from other parts of the country which might signify preparations for a deployment. Finally, Russia is continuing to bolster its conventional and nuclear deterrence posture through a variety of procurement and modernization programs. 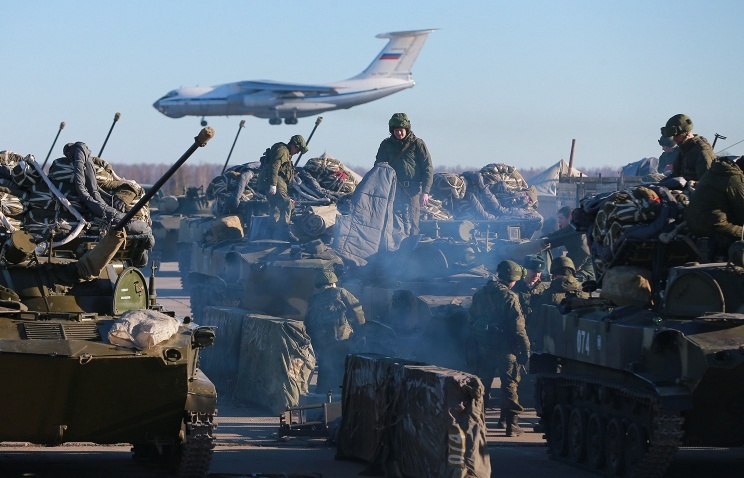 The Russian military is once again placing considerable emphasis on its mobilization capabilities, an indicator of the expectation of a protracted conventional conflict which would not be waged simply by the standing, regular forces. 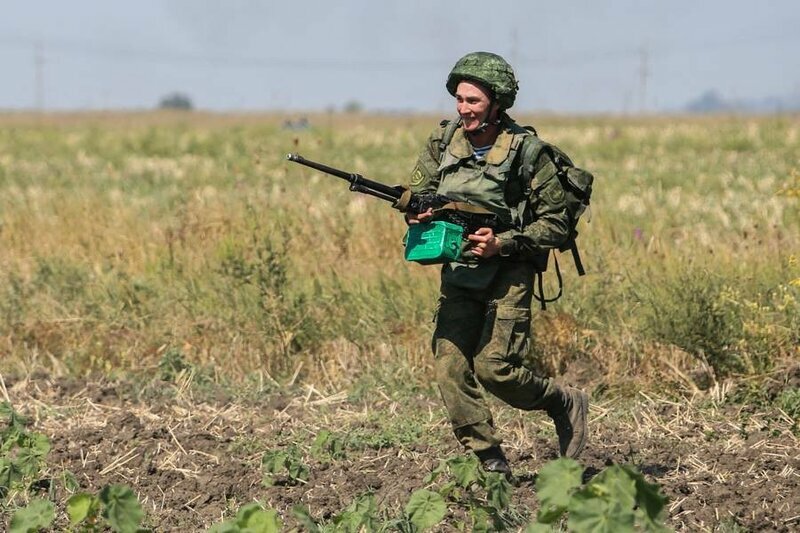 The newly issued regulations introduce reservist contract service which obligate the reservists to participate in the training exercises of the units to which they are assigned, which is a departure from earlier practice under which the reservists were simply a pool of manpower from which “able bodies” were drawn to in the event of mass mobilization (as practiced by the Ukrainian military in the course of its “waves” of mobilization). The new regulations will also ensure the reservists are properly trained and capable of carrying out their military duties without an extensive period of training. 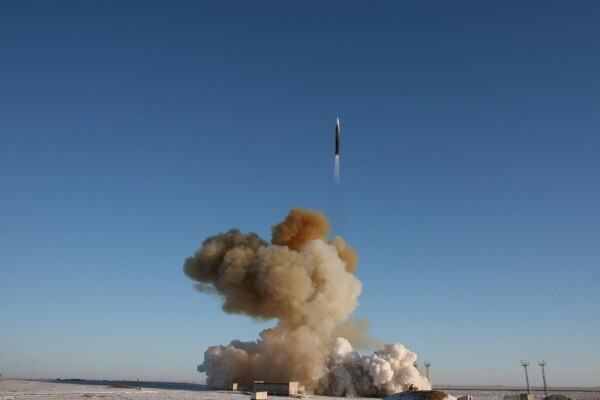 The development of the Sarmat heavy ICBM, to replace the aging R-36M missiles has been known for a long time. This story concerns another missile under development by NPO Mashinostroyeniya, which raises a number of questions as to why would Russia fund two such missiles simultaneously. 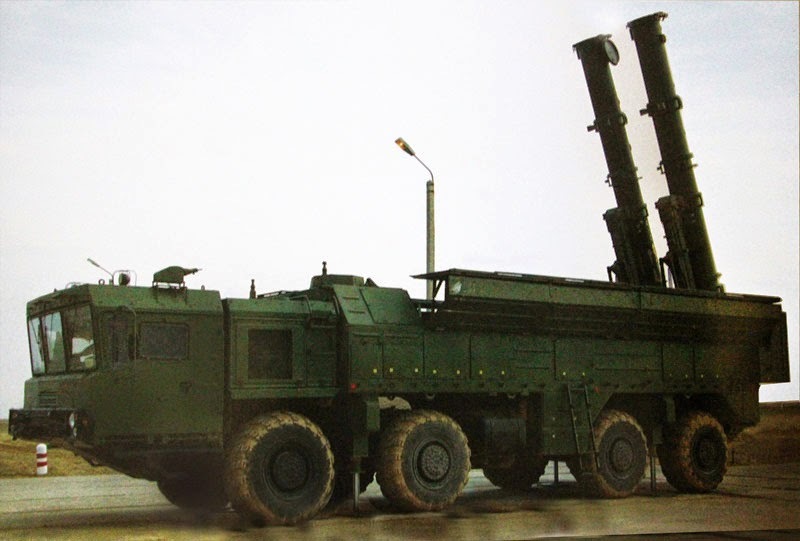 One possibility is that it’s a “lightweight” ICBM to replace the UR-100UTTKh missiles still in service. 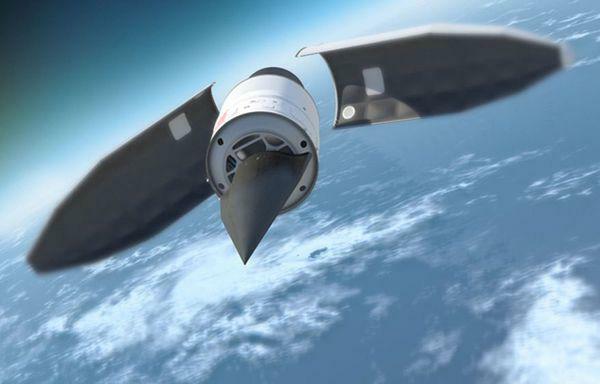 The other, more intriguing, is that the new missile is intended as a launch vehicle for hypersonic strike vehicles, such as the Yu-71, which would be extremely difficult to intercept by ABM systems due to their ability to maneuver around such systems. Judging by the description, the base is large enough to house and train a regiment or possibly even a brigade, as it will include barracks for 3500 troops. 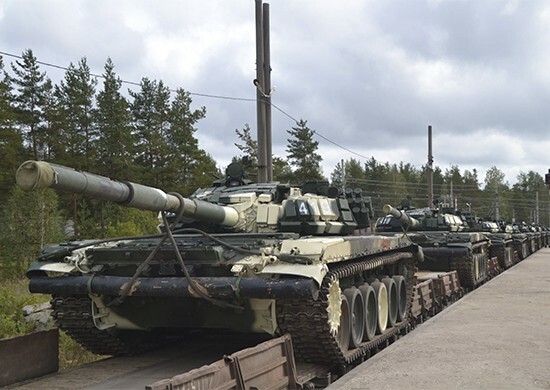 It is likely to be associated with the reactivation of the 10th Guards Tank Division which is to be deployed close to the border with Ukraine, as part of the 2nd Guards Combined Arms Army. The exercise took place between September 7 and 12 and involved all military formations stationed in the district as well as a number of civilian agencies. The missile brigade of the Central Military District was placed on alert as part of a general readiness exercise in the district. Considering the location, the exercise appears to be at least partly related to the escalation of tensions around Syria. Troops of the 56th Separate Assault Landing Brigade based in Volgograd were sent to the Orenburg Region for a training exercise. The scenario implies a low-intensity conflict, with the paratroopers’ main duties including march route security and protection against raids. Again, this may be part of Syria-related contingency planning. The tank’s interior is striking in its modernity: large displays, touch screens, and considerable crew comfort–one gets the impression of being aboard a submarine rather than an armored vehicle. The firing sequences suggest the main gun is rigidly mounted, without a recoil mechanism as such. The video touts the vehicle’s high mobility necessary to keep up with the T-14, and the high level of protection against most modern anti-armor weapons. 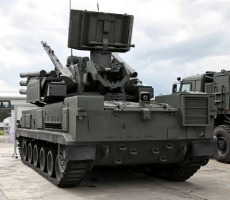 The 2S3 has performed well in recent conflicts (both in Eastern Ukraine as well as in Syria), so it is no wonder that the Russian Army is updating its arsenal of these weapons to make them compatible with the latest computerized artillery fire direction systems. 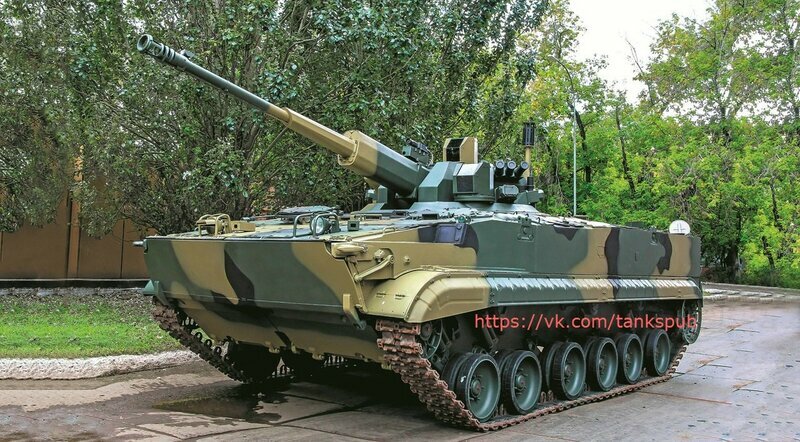 The Derivatsiya modernization of the BMP-3 IFV features a 57mm automatic cannon, a caliber not used by any other similar vehicle in the world. 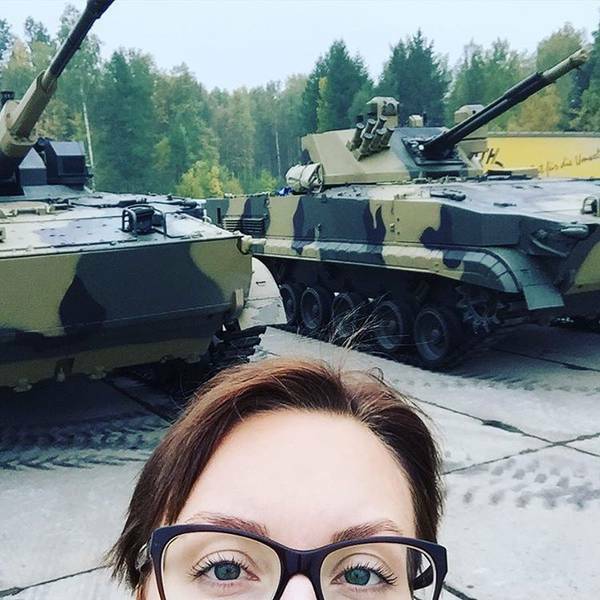 It was not announced whether the several hundred BMP-3s that will be procured by the Russian military in the next few years will be of this model. Many more photos at the link above. The military will procure “over 200” new BMPs, and an addition 135 will be modernized. 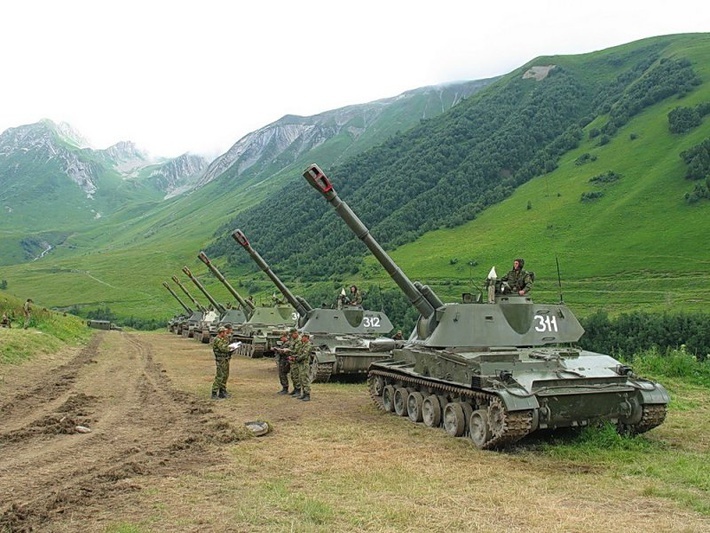 It also seems highly likely the 57mm weapon will find its way into the BMP Kurganets at some point. The second BMP-3 upgrade proposed is the Dragun which represents a considerable (and highly effective) redesign of the original vehicle in that the engine is moved forward which makes the vehicle far easier to use by its embarked infantry squad. The Russian Ministry of Defense is weighing the option of modernizing at least some of the 400 T-90 tanks currently in service to the T-90MS variant depicted above incorporating many of the technologies developed for the Armata project. 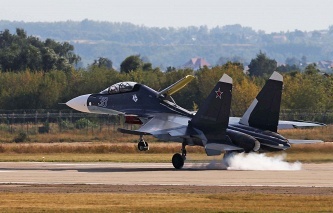 The Su-30SM is a relatively recent addition to the Crimea, and the bombing exercise was the first of its kind in that region for these Naval Aviation fighters. The aircraft are to be procured in three annual batches of 20-25 aircraft, beginning in 2016. The exercise will be held between Cyprus and the coast of Syria. Its likely effect would be to allow Russia to monitor airspace over Syria using its naval air surveillance radars (a useful measure in the light of the Russian “air bridge” to Syria which we predicted a week ago) but also to complicate NATO’s possible plans to launch cruise missile strikes against Syria from its ships in the Mediterranean. The aid includes BTR-82A wheeled troop carriers, small arms, grenade launchers, Ural trucks, and other equipment for use in Syria’s fight against the Islamic State. The equipment is being moved by Russian Navy’s assault landing ships as well as heavy transport aircraft. Furthermore, Russian Foreign Ministry made it clear that Russian military advisors have been stationed in Syria for many years in order to assist their Syrian counterparts in the assimilation of Russian-provided weapons. The An-124 is Russia’s heaviest transport aircraft, capable of lifting even heavy armored vehicles. 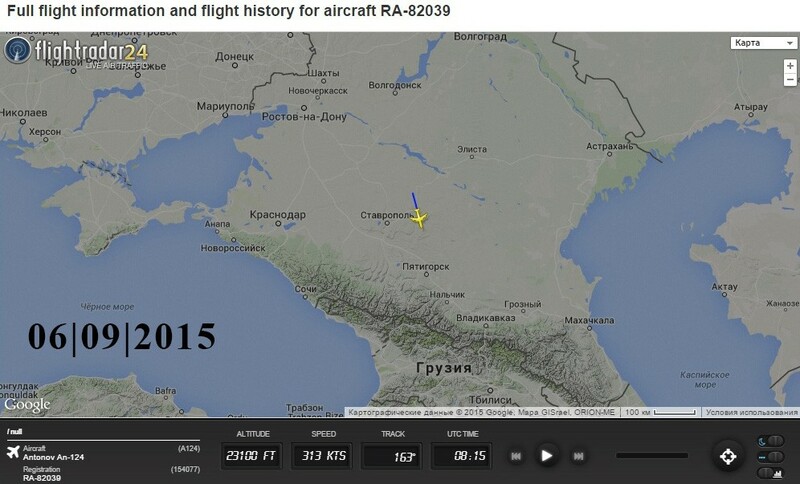 The flight originated in Rostov and appears to represent a new lifeline between Russia and Syria. 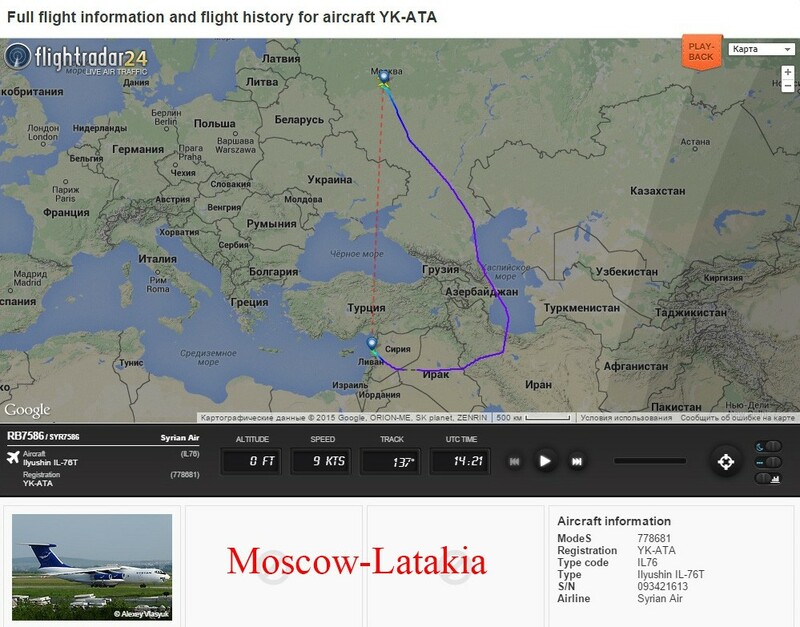 The An-124 returned from Latakia to Pskov, where it was seen loading more military equipment. The air corridor between Russia and Syria appears to run through the Caspian Sea, Iran, and Iraq. Russian Navy amphibious assault ships have made 10 sorties over the course of the last month alone into the Mediterranean in order to carry aid to the Syrian military in its fight against the Islamic State. It represents a significant increase in the pace of Russian sea-lift operations. 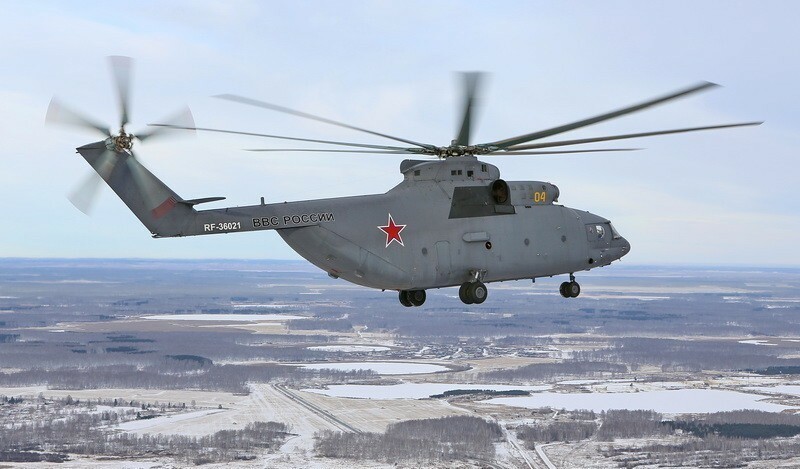 Russia and China will sign a contract by the end of the year on the joint development of the Advanced Heavy Lift (AHL) helicopter. Belarusian Army’s 6th Guards Mechanized Brigade is in the Leningrad Region for the Union Shield 2015 joint Russian-Belarusian exercise. This information appeared on the Russian Defense Ministry’s facebook page, with no additional details provided. 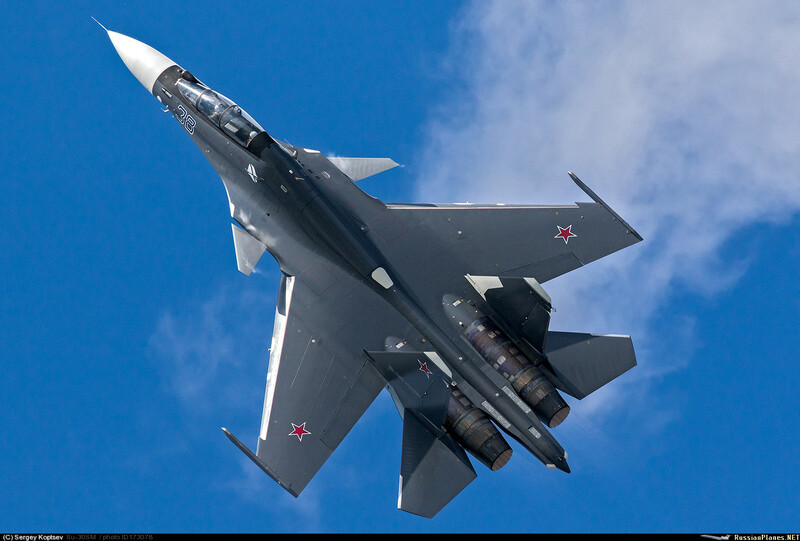 Indonesia wishes to acquire a squadron of Su-35 fighters (funding permitting) to replace its elderly F-5F aircraft. If the deal goes through, Indonesia will become the second international Su-35 customer, after China. Brazil initially hoped to procure the system in time for the 2014 Soccer World Cup. Brazil may purchase several dozen of these vehicles, with the funding being made available in 2016.